June 27th 2016. 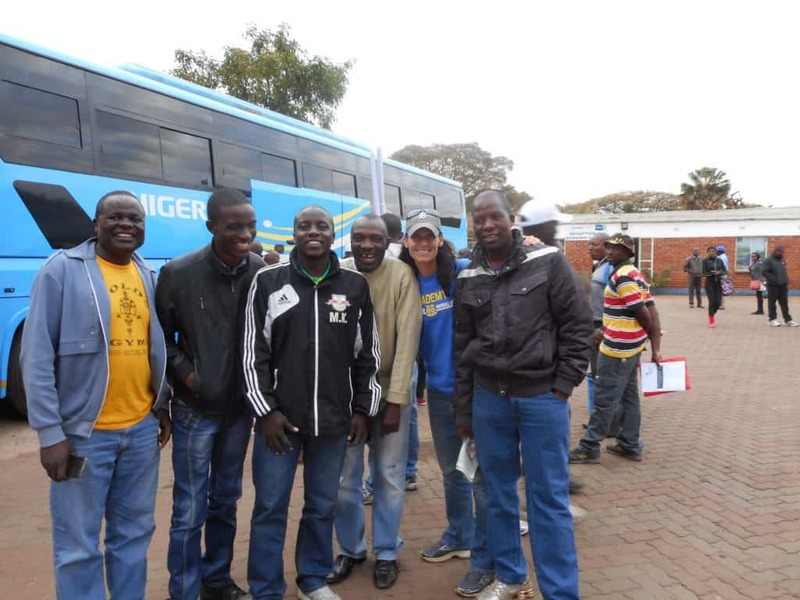 CAC volunteer Carrie Taylor writes about her 1st CAC experience in Harare, Zimbabwe. When analyzing my time in Zimbabwe through Coaches Across Continents, I keep coming back to the idea of the incredible power of sport, and in this case the sport is soccer/football. If you can mention the name Messi, Marta, Ronaldo or talk about an EPL team, you can strike up a conversation with anyone and make an instant connection. CAC brought me to Harare to work with the wonderful coaches of Zim through the Sports Recreation Commission via Neswten Chipoya. Newsten was quiet yet very strong in organizing people. He did a tremendous job in bringing people together and creating connections. Our zany and energetic leader for the week was Nora Dooley from CAC along with Nico who is from Tanzania whose outgoing personality and his penchant for teaching wood ball was a hit with the participants. As a longtime coaching educator in the US, I have had a lot of experiences with working with coaches, so going in, I was very interested in how different the CAC curriculum was and how it was to be delivered from the typical US coaching course. First off I was blown away by the shear number and strength of the women in the course. I was able to meet Rosemary who was the former Zimbabwe Women’s National team coach, and a some of her former players; Lillian, Bridget, Dorothy and Elizabeth to name a few. Many of whom were returning to the CAC program for the second or third time. Then we had a group of 6 female teachers from Masvingo who travelled 400k by bus to come learn how to impact their primary and secondary students in their area. All these women were strong, powerful, outspoken and well respected by every man in the course. During the week through the CAC games and group work about Gender Equality, Child Rights, and Healthy Behaviors these women made sure their opinions were heard and that they garnered respect from everyone in the course. 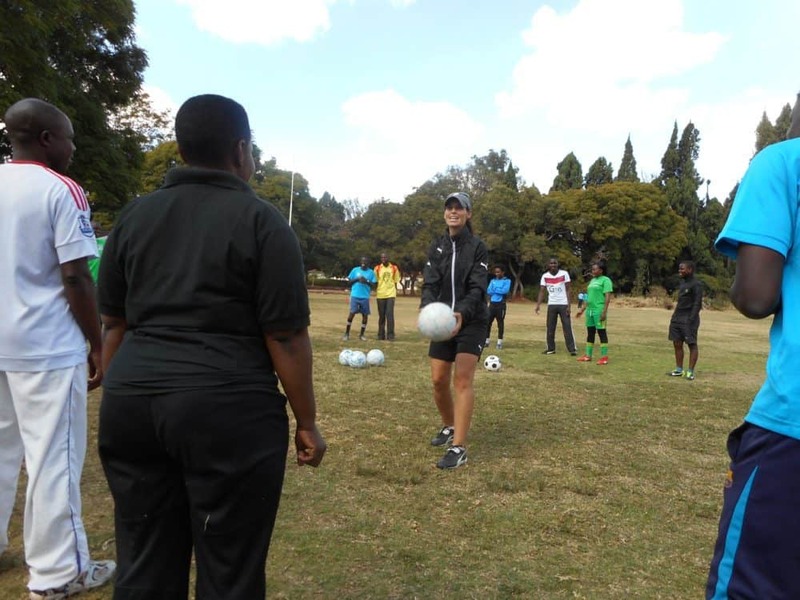 A few of these women mentioned above, then came together again later after the week was done along with other female sport leaders in Zimbabwe. Nora introduced the women to CAC’s ASK for Choice Curriculum. These women met for discussions about first how to support one another in their challenges and second to start to form a Women’s Sports Leaders Group with the support of the SRC. To be apart of these discussions was great for me, as we have similar challenges in the US and I have been active lately in the growth of the female voice in soccer back home. Another one of the key people who not only drove us around all week, but made it a goal to make sure that we were able to watch the Euros at the local pub was Julius. Julius was the epitome of the power of sport. During the week we found out that Julius had lived recently and gone to school in Leipzig, Germany, was a PE teacher and coach at Cornway College, which is a private school outside of Harare. Julius also was graduate of the University of Zimbabwe. Besides liking Man U, 😉 Julius was a wonderful, thoughtful and kind host. He showed us the underlying passion, spirit and drive of many of the coaches we met in Harare. We were able to meet a few of his players during the week and very much saw the mutual respect and caring between Julius and the young men that he coaches. Then there was Wisdom, whose contagious energy, passion and zest for soccer was evident from the smile and joy he exuded every time you were around him. When playing a CAC adapted game that we would typically identify as “Partner Steal the Bacon”, instead of being given a number your groups of two were identified first by issues surrounding child rights, such as child abuse, child labor, early marriage. Then the game switched and your group was identified by a solution to the issues, such as education, or communication. Wisdom’s group wanted Love to be the solution. This solution struck a chord with me. LOVE, and in this case our common love of soccer brought this amazing group of coaches together for a week. Love for our players, love for competition, love for the world sport of soccer. This experience was nothing like the coaching courses that I teach back home. Sure we shared your basic soccer activities for kids, but real social issues were discussed, and more importantly people shared their love and passion for the game and made friendships and connections that hopefully they will carry with them forever. I feel fully confident that each participant will apply something that they learned from this week and utilize it in their own environment. I will take home new friendships, a new dance or two, a couple words of Shona, and a much deeper appreciation for the world through love for the beautiful game. Lovely stuff!Its nice to hear alot of women train in the programme.